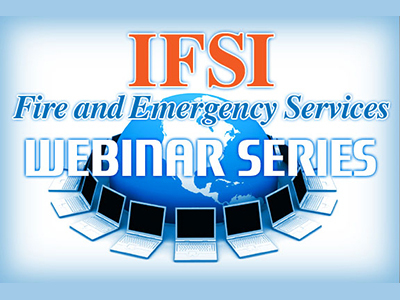 The Illinois Fire Service Institute is pleased and excited to announce the IFSI Fire and Emergency Services Webcast training series. The objective of these presentations is to provide up to date information in various topical areas of interest to the entire fire service community. Presentations will be delivered using the IFSI Adobe Connect Virtual Classroom. Participants can expect a 60 to 90 minute presentation including interaction with the presenter. Specific dates and times will be provided the month prior for each presentation. We think you will find these virtual training opportunities well worth your time. "Big fire, big water." "Let’s pull a 2 ½’" just in case we need it." "GPM’s put out the BTU’s." All phrases we have heard throughout our Fire Service career. But what do they really mean? Are they just lip-service or can we back up these statements? Join IFSI Field Instructor Henry Gruba, on April 19, 2017 at 1pm Central, as he leads a web-based discussion on "The Forgotten, Misunderstood, Versatile 2 ½" Line". Henry Gruba, a 32-year veteran of the Fire Service, retired as a Lieutenant from the Waukegan, IL Fire Department. He is currently a Field Instructor and eLearning Program Manager with the Illinois Fire Service Institute, Champaign, Illinois. Henry instructs firefighting classes ranging from basic skills to company officer. Instructions on how to attend the session will be emailed a week prior to the presentation.